UNDER MARKET VALUE !! 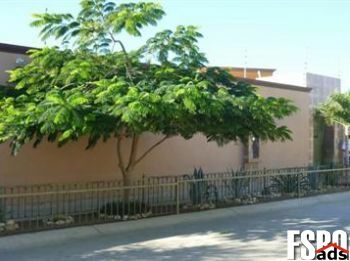 American style single home in the heart of Cabo at a short 1 mile to town and the marina/mall. Every spot in the house is carefully designed with lasting quality materials creating its own ambiance; from the outdoor terrace idal for a morning coffee/evening tea tea or painting retreat to the generous wall fenced parking space attached that can easily storage any beach size beach tool as ATV�s, Kayaks, Sufr board and still room to park two cars. 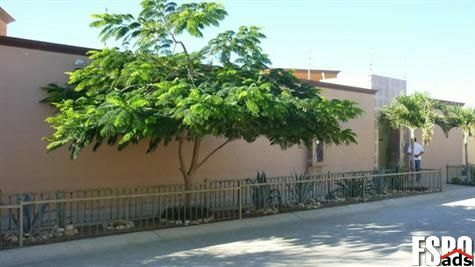 10 feet wall fence keeps the noise isolated creating a peaceful ambiance and safety sense regardless of the quiet family neighborhood. Furnished home (except beds and some personal decoration). Features: 3 Bedrooms, 3.5 baths, Full kitchen with stainless steel apliances including bosh stove, energy saving mini splits A/C, plasma TVs, closets in bedrooms, large pantry/laundry room, lamps, formal dining table for 6, breakfast spot for 5. NO HOA�s, annual property taxes are from approx $ 100 Usd. Steal this home ... before someone steals it from you ! We ensure that buying a homes for sale Cabo San Lucas, CA is easier than you think. You can find Cabo San Lucas, CA real estate for sale like single-family homes, apartments, townhouses, condos, land and many others here. If you are looking to buy or sell Cabo San Lucas, California FSBO, our website can supply you with the most updated For Sale By Owner Cabo San Lucas, California listings information.